The GranDreams Banquet, Mayapuri, Delhi is where your wedding dreams are turned into reality. Situated near metro station, it has a sizable parking space and can arrange valet if required. The two banquet hall areas are ideal for organizing wedding functions with much fanfare. Food prepared by their in-house caterers is delicious and will be savored by your guests. When you host your wedding at The Grand Dreams, Mayapuri, their staff ensure that the experience is a memorable one. The venue has an inviting ambiance which makes guests feel welcomed and is ideal for a wedding. You need not worry about all the wedding rituals as the venue allows you to have baarat, hawan and overnight wedding. Grand Dreams Banquet Mayapuri provides pure vegetarian food and offers complimentary changing rooms for the bride and groom for last minute touchup. The GranDreams Banquet at Mayapuri provides you with three banquet halls which require very less decor. The venue believes in turning your dream event into reality. 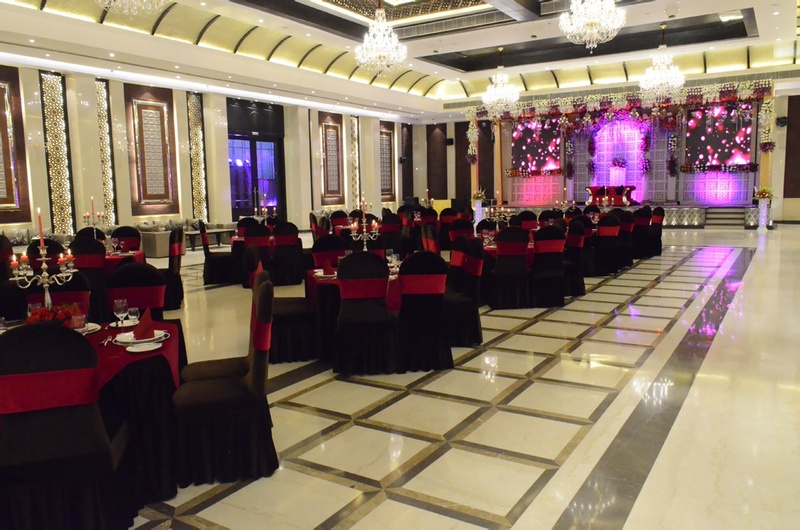 The The GranDreams (The Grand Dreams) located in Mayapuri, Delhi has Banquet Halls. Fortuna can accommodate upto 150 guests in seating and 300 guests in floating. William 2 can accommodate upto 150 guests in seating and 300 guests in floating. William 1 can accommodate upto 250 guests in seating and 500 guests in floating. Vegetarian food is served at this venue. Features of this wedding venues are : Food provided by the venue , Alcohol allowed at the venue , Halls are air Conditioned , Ample parking , Baarat allowed , Hawan allowed , Overnight wedding allowed , Decor provided by the venue , Packages starts at Rs 1800 per plate for vegetarian menu and at Rs N/A for non veg menu. Decoration starts at Rs 75000.